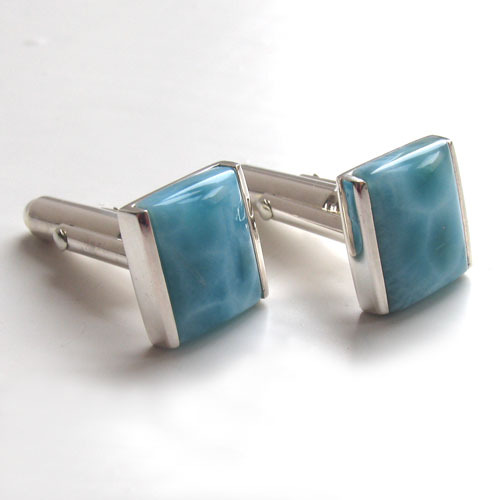 Larimar cufflinks set in sterling silver. 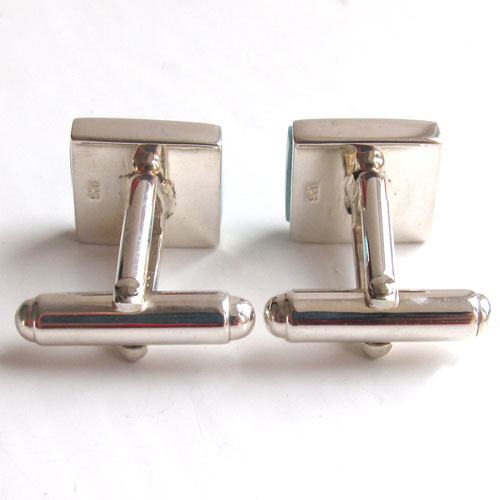 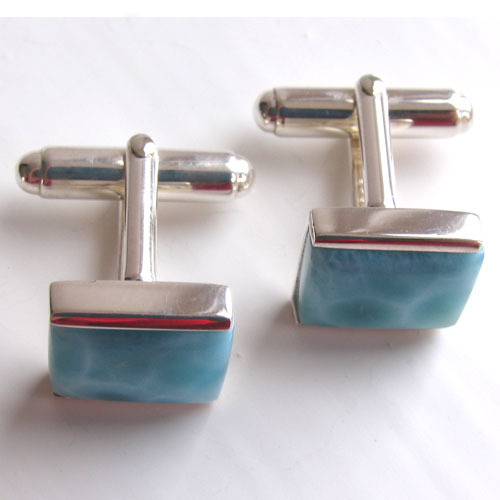 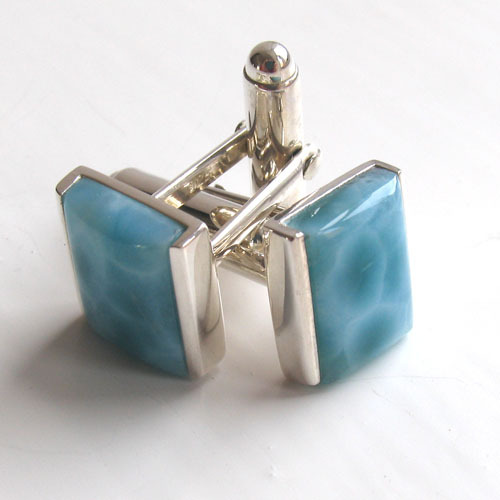 These beautiful larimar cufflinks will add elegance to your shirt cuffs. 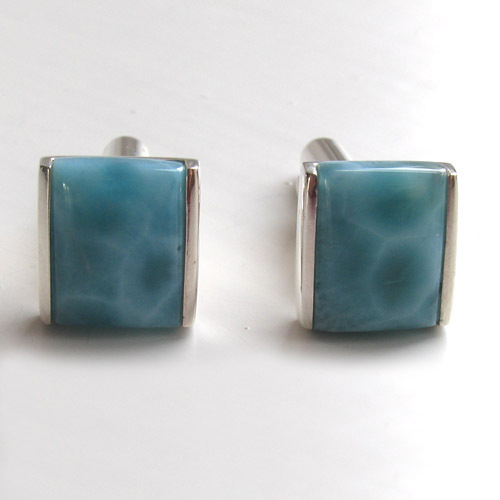 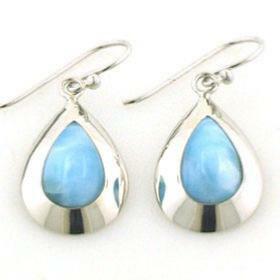 They are a perfect shape and size to balance a crisp smart shirt and feature excellent quality larimar gemstones. 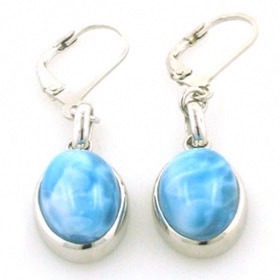 Larimar is a popular semi-precious gemstone with a devoted following. 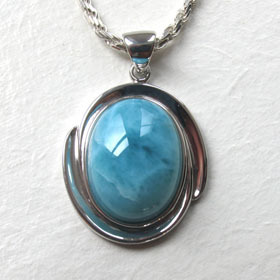 Mined only in the Dominican Republic, the gem is aqua blue and displays characteristic reticulations - cloud like patterns. 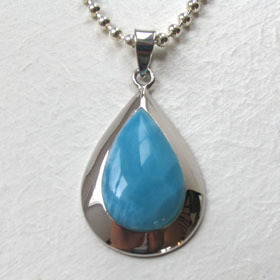 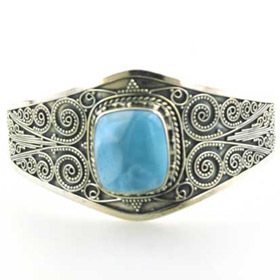 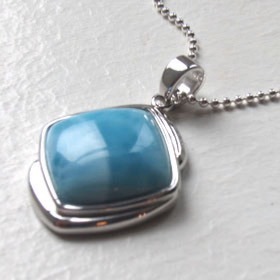 Each stone is set into a sleek sterling silver design adding a neat edge to the larimar. 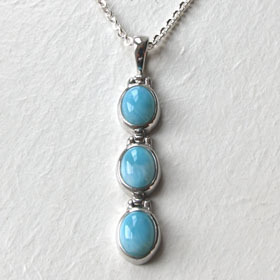 The sterling silver toggle behind this is sturdy but not vulgar. 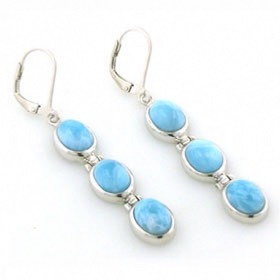 An excellent addition to your wardrobe!